How you can make a Bachelorette Party / Bachelor mind-blowing, unforgettable and special. It doesn’t matter whether it is the men or the ladies who are getting together in order to celebrate the upcoming marriage, we can help make it extra special. It doesn’t matter whether it is a smaller group or a large group that needs a party bus, our vehicles and service will help make it a night you never forget. Besides, by taking a limo, you can start the celebration as soon as the chauffeur opens the door and ushers you inside. 1. 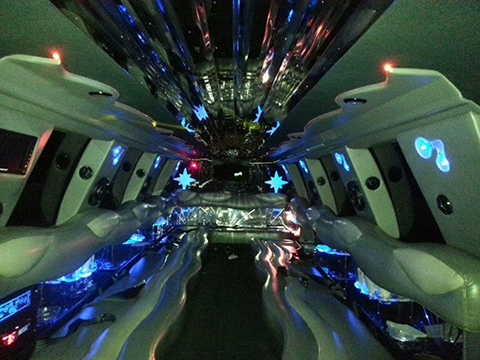 Our limousines can be party central! Take a look at some of the pictures of the fleet. With amazing fiber optic lighting, plush seats, a great sound system, CD/DVD player and flat screen TV it sets the mood to party. What also helps is the bar area stocked with crystal stemware and ice. 2. Pack in more partying for the evening! You can not only start partying as soon as you leave the front door, you can continue to party as you go from one location to another, as well as on the way home. And all with no worries about where you are going or who is going to drive. 3. Speaking of driving. Our chauffeurs are experienced and professional and will look to make sure you have a fantastic event. Your driver will show up on time or early and after that you don’t have to worry. He will get you to your destination and home again. Better still, he is your designated driver, so you don’t have to worry about getting home safely. 4. We believe in great service. Whatever your schedule, we can make it work. Our job is to ensure that you have a mind blowing, unforgettable and special party. So to have a mind blowing, unforgettable, special party, simply fill in the form above and to the right for bachelor party limo and bachelorette party limo. Then click the button that says Give me my FREE Quote. Or pick up the phone and give us a call to make arrangements, 410-505-8386. We Would Love The Opportunity to Serve you!